Private Jet, a Suite never seen before. Into the Wild, a Suite with terrace and outside jacuzzi. Our Luxury Suites will make you forget about the reality. The Suite SPA rooms are spacious from 54sqm up to 75sqm are equipped with plus size mini pools (for 2 up to 6 people) and Turkish bath. Love is a luxury that can't be unobserved. In our spacious Suites and Suite Plus rooms, from 54sqm up to 75sqm, equipped with hydromassage pools (for 2 up to 6 people) emotions transform into intriguing seductions. Our Superior rooms, the Diamante or the themed superiors, all, around 30sqm, equipped with hydromassage shower and pool for two will take you to fascinating and forbidden places. Discover our guaranteed best rates! Lots of different rooms to give unique moments. Comfort, Superior, Suite, Suite spa, Luxury suite: every room is a seductive escape. 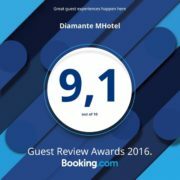 Diamante is an exclusively reserved, original and elegant themed motel, a few steps from the tangential and a few kilometers from the city center of Turin. It’s the ideal choice for those who would like to pass an enjoyable time in a comfortable ambient, guaranteeing the highest level of discretion. The rooms of the motel are spacious and characterized with creativity, and are ready to welcome unique moments and intense experiences. The rooms are located in three different floors, each of them equipped with a private parking lot which is connected (to the rooms on the 2nd and 3rd floor) by an innovative system of dedicated elevators, guaranteeing the maximum privacy. The parking lots of the rooms on the ground floor are equipped with charging stations to charge electric cars. TV, Sky TV, telephone, safe-deposit box, free minibar, wardrobe, hair-dryer, air-conditioning/heating-system, free wi-fi (fibra), courtesy set, room service.